CashFlowTool.com works within Right Networks hosted environment. Because Right Networks manages the environment, the steps you use to add a business is slightly different. Here are the steps you will need to follow. Have CashFlowTool.com provided for your account for your account. Note: You can skip the step to download and install Finagraph Connect since Right Networks will be performing this step for you. After Right Networks has previsioned your account, use the following steps to create your business in CashFlowTool and sync your data. 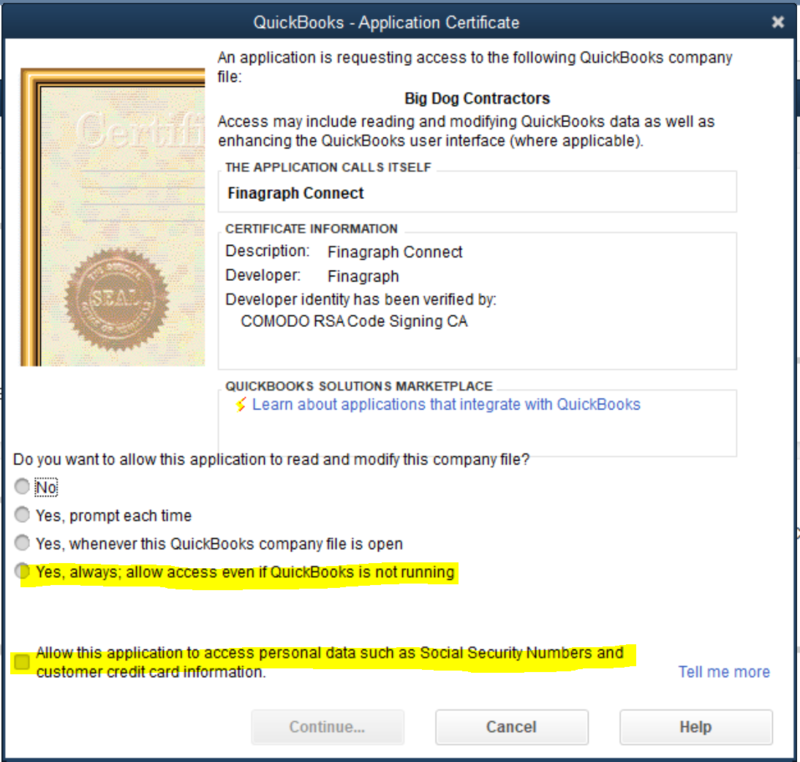 QuickBooks requires you to authorize Finagraph Connect to access to your company file. Select any of the ‘Yes’ options. After opening the company file and granting access, select the checkbox "Allow this application to access personal data such as Social Security Numbers and customer credit card information." This allows CashFlowTool.com to access payroll data. A new browser window will open CashFlowTool.com. Log into your CashFlowTool.com account. 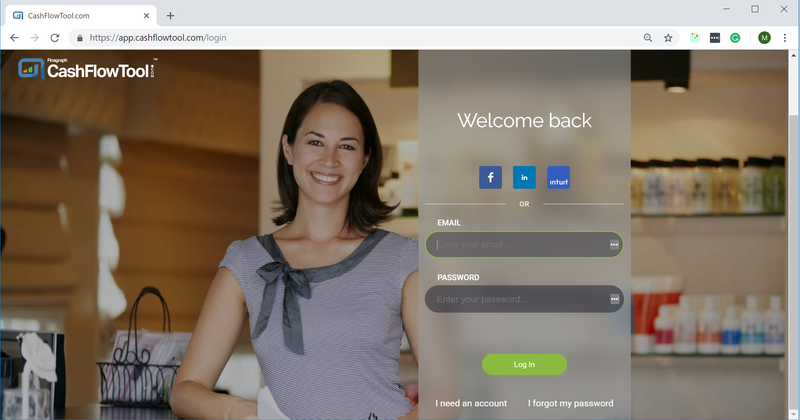 After you login, Finagraph Connect will create a new business in CashFlowTool and begin to sync your QuickBooks Desktop data to CashFlowTool.com. Depending on the size of your QuickBooks Desktop file and your internet connection, it may take several minutes to sync. You can check progress at any time by clicking on the Finagraph Connect icon in your Windows system tray. You will also receive an email once syncing has completed. Once completed, your CashFlowTool dashboard and cash flow calendar will be populated. The next time you need to sync your data with CashFlowTool.com, use the following steps. The CashFlowTool dashboard and calendar may not display properly using Internet Explorer. Contact Right Networks and request Google Chrome as your default browser. If Finagraph Connect is not listed in QuickBooks Desktop company menu, contact Right Networks and ask them to have CahsFlowTool provisioned for your account. Syncing can take a long time to complete depending on the size of your company file. 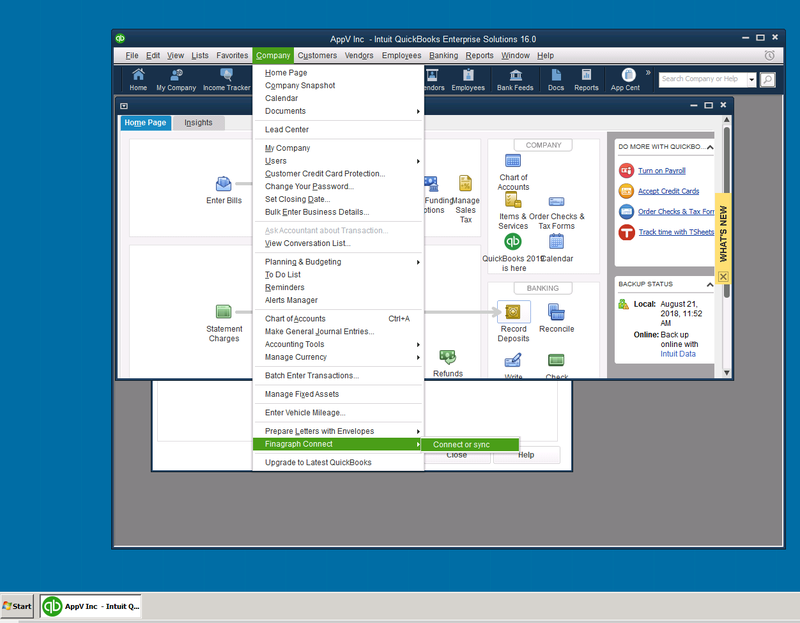 While syncing, you will Windows spinning cursor while in QuickBooks. You can check the progress by clicking on the Finagraph Connect icon in the system tray. Do not log off your Remote Desktop connection during syncing.